We respect those who create wonders, by patiently loving, toiling and knowing their small piece of earth through the generations. We passionately believe in building a bridge by education and experience – so that you may better appreciate and indulge in these wonders that you so well deserve. Our current campaign, which includes plenty of tasting and eating, is all about celebrating these values by showcasing some of the wonderful growers and producers that we work with, and shining a spotlight on the vin nature side of things. So, let us start briefly with a little bit of history around wine culture. When considering the making of wine, one has to begin at the heart of it all, which is the grapes; it’s all about the fruit. 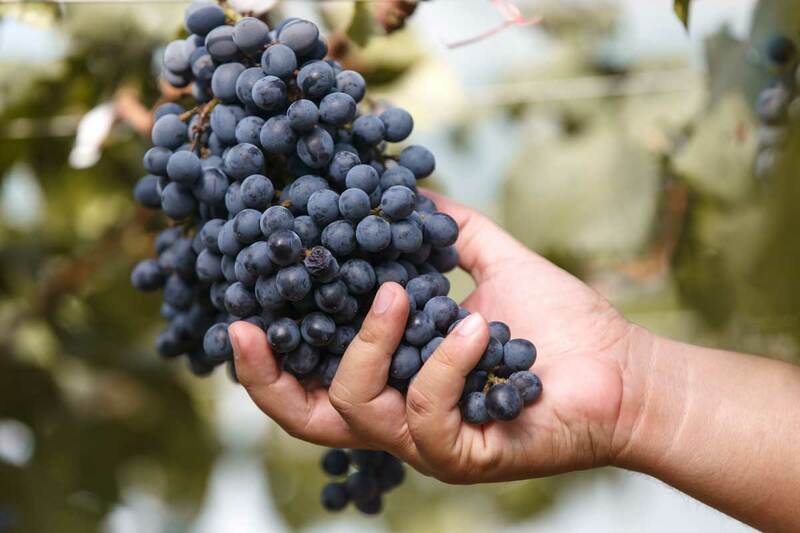 Winegrowing is essentially a form of agriculture. In many parts of the world winegrowers would cultivate wheat, beans, chickpeas, even fruit trees and other vegetables between the rows of their vines in order to create biodiversity on their land and feed their families. In the 20th century, modern agriculture changed everything and went through a process that mechanised and simplified farming in an attempt to increase yields and maximize short term profits. Grape-growing, like the rest of agriculture, is no exception and the wine industry followed in this industrialised pursuit. One of the biggest issues around this disconnection to the land is the development of synthetic chemical treatments, which we know has a detrimental effect on soil life and leads to degradation and soil erosion. Like so many other industries, wine moved from being handmade and artisanal to being large-scale and industrialised. Advances in technology and winemaking science have been enormously positive for the industry as a whole; however, a movement has risen that agrees we seem to have lost some perspective. This is a commonly used term to describe wines made from vineyards that are farmed organically and/or biodynamically at the very least, and which are produced without adding or removing anything during vinification, apart from a dash of sulphites at most at bottling. This is a simple, yet precise definition that considers both the growing and making decisions that goes into producing wine. The term natural in itself is a bit polarizing – live, pure, raw, real, true, low-intervention, authentic, farmhouse, are all alternatives and a little less contentious, however, as per Isabelle Legeron MW in her book ‘Natural Wine’, the word natural seems to be the broadly used term across the globe to describe healthily grown, nature friendly, low intervention wines that truly express their place of origin. All in all, natural wine accounts for a very small proportion of the wine world, but over the last several years these wine styles are being rediscovered and celebrated worldwide by the wine industry and consumers alike. For these growers, what they do goes well beyond the wine itself; it is also a philosophy, a way of life, which undoubtedly contributes to its profound appeal to people across the globe. This philosophy was on show late last year, when Wellington hosted the 2nd Budburst Natural Wine Festival in New Zealand. As part of the organising committee, one of the main principles the event was based on was: wine starts in the vineyard. 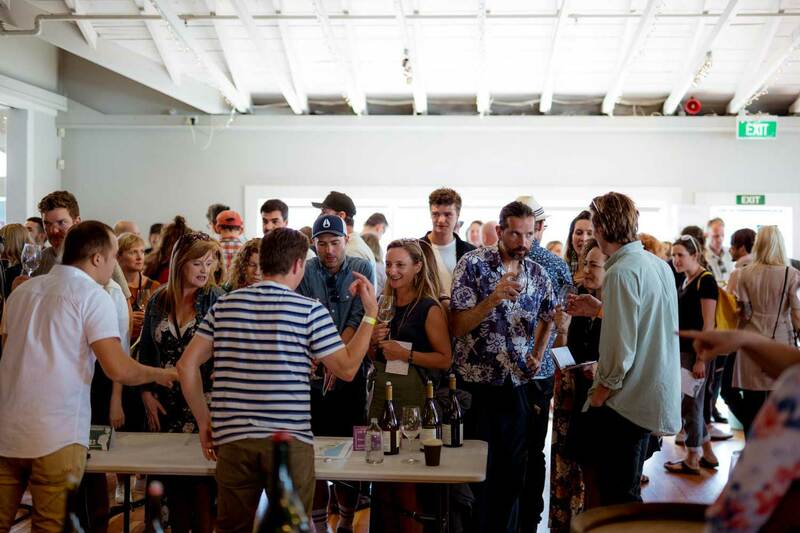 The festival members believe that natural wine cannot be made from conventionally farmed fruit – producers were asked to verify that they grow their grapes organically or biodynamically before submitting their wines for the event. What is Organic and Biodynamic Farming? Organic farming aims to avoid synthetic chemicals in the vineyard, including the use of pesticides, herbicides, fungicides and synthetic fertilizer. In place, plant and mineral based products are used to work against pests and diseases and to increase the health of soils and build up plant immunity and nutrient uptake. Biodynamic farming is a form of organic cultivation developed by the Austrian anthroposophist Rudolf Steiner in the 1920’s. It is based on traditional practices; whereby polyculture and animal husbandry are at the heart of the farm. Unlike organics, the emphasis of biodynamics is on prevention rather than treatment, as well as encouraging the self-sufficiency of the farm unit. Natural preparations based on plants, minerals and manures are used in combination with astronomy to stimulate microbial life, boost the immune systems of plants and improve soil fertility. To best illustrate these farming philosophies, we have put together a marvellous line-up of twelve wines from the Dhall & Nash portfolio including styles from the USA, France, New Zealand, Chile & Italy. Not all of these wines were chosen because they are made naturally in particular, in some cases they are not or not intended to be framed that way, but are farmed using all or some of these methods and exemplify their makers intentions and decisions for their land. This is a celebration and nod to the wonderful growers – Les Merveilleux Producteurs! Expect a sensory experience of the highest order starting from fresh, saline and mineral, into an aromatic dual between two skin contact heavyweights. Then we taste spice, volume and history as we the hit the first set of red wines, moving into a marvellous combination of pioneering spirit and benchmark terroir, concluding with a love story, ancient soil and what does wine taste like living on the edge.